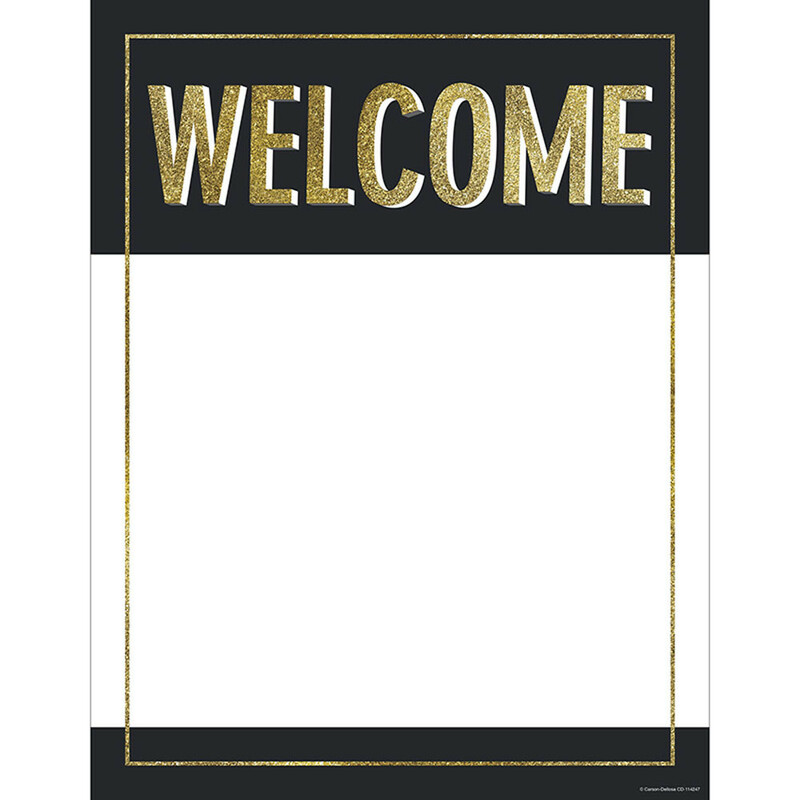 The Sparkle + Shine Gold Glitter Welcome chart gives your classroom warm, welcoming style! 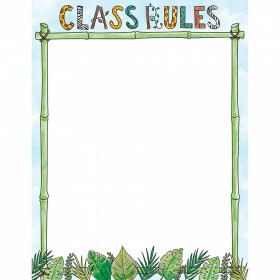 This 17" x 22" chart features writing space to display your name, grade, and room number—perfect for parent teacher conferences and the back-to-school season. 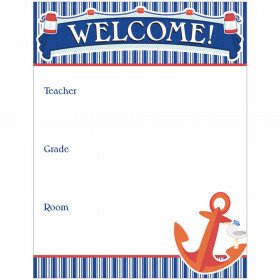 Welcome charts offer a simple way to greet new students, parents, and guests. 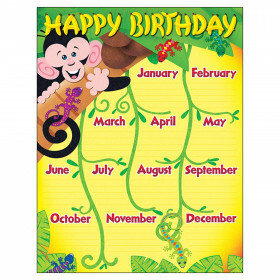 Place these colorful, customizable charts on your door to make sure visitors can find their way. 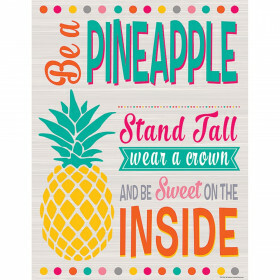 To create a unified classroom theme, check out coordinating Sparkle + Shine accessories. Looking for something similar? 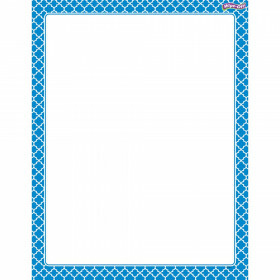 View our Classroom Theme or Charts sections to find more classroom supplies items similar to Gold Glitter Welcome Chart Sparkle And Shine.